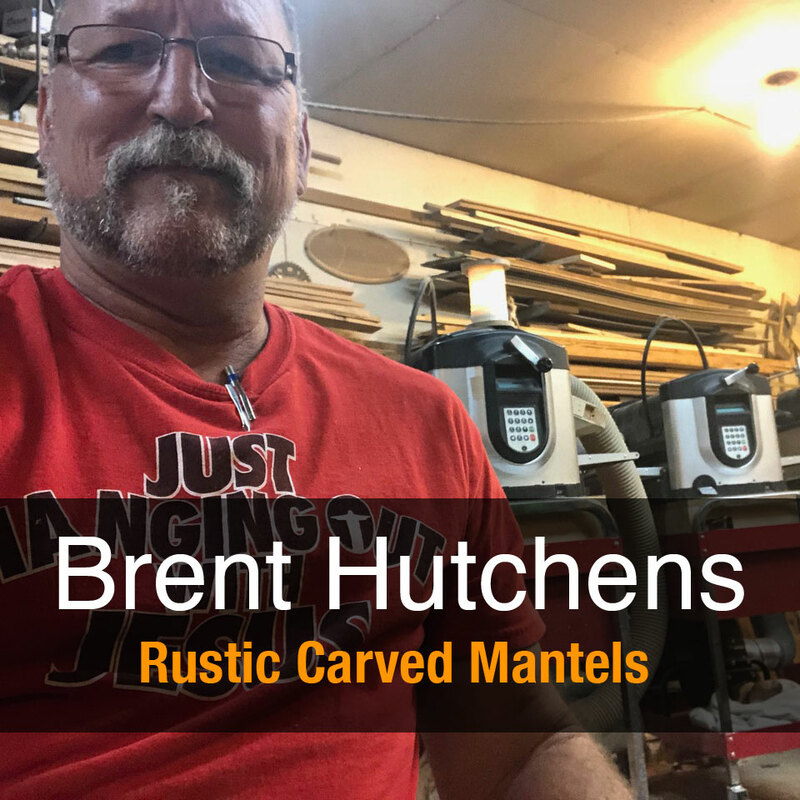 Brent Hutchinson of Springtown, TX began his CarveWright experience the way many other customers have done. He bought his first machine in July of 2012 for a specific job, which he had been “almost guaranteed”. As a CarveWright employee, it always scares me when someone has a deadline before they ever even touch the machine or software. Sometimes, we have to realize our plans are not always “God’s” plans. As in Brent’s case, the “almost guaranteed” job fell through. Still with his machine, Brent began producing simple signs and a few light switch plates. His knowledge and interests grew. He soon began producing even more complex projects, yet nothing that he was creating helped him accomplish his goal of getting a return on his investment. Down, but not deterred, Brent, now suffering from boredom and burn-out with his 30 year career in construction & remodeling, had found in his two machines the spark that he needed. It was as if he had two extra sets of hands working with him in the shop. He continued to learn and add-on to his software capabilities. The cross that started it all. 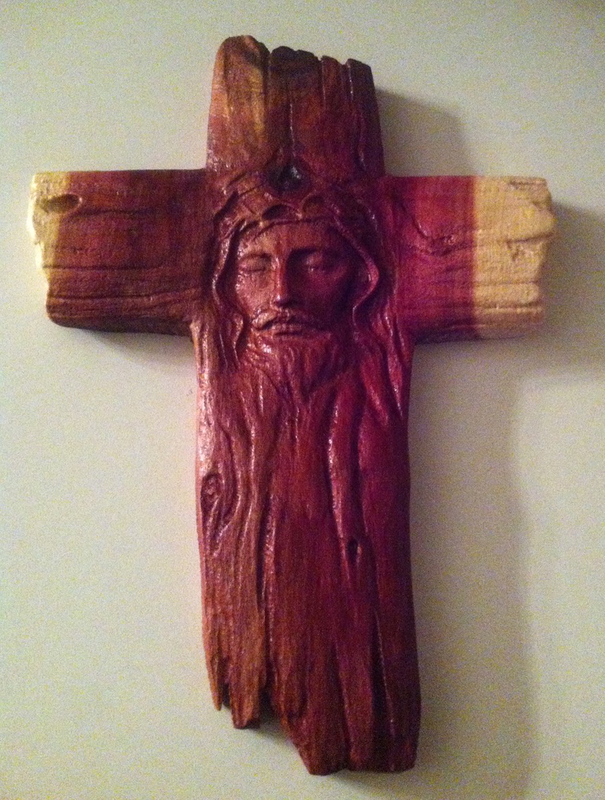 At one point, just as the economy and construction work started to slow, Brent saw another CarveWright user at a woodworking show with a carving of a wooden cross with Jesus’ face. He was blown away by the design and quickly acquired the pattern. Within a month he had generated over $3000 off that one design. Then on vacation, he accidentally dinged his brother-in-law’s truck door. 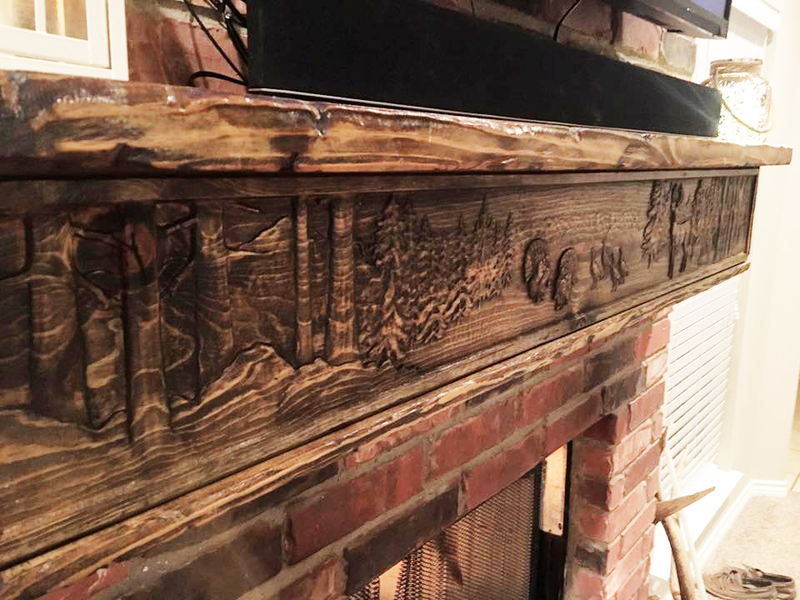 He offered to compensate him by creating a mantel for his cabin in the mountains. 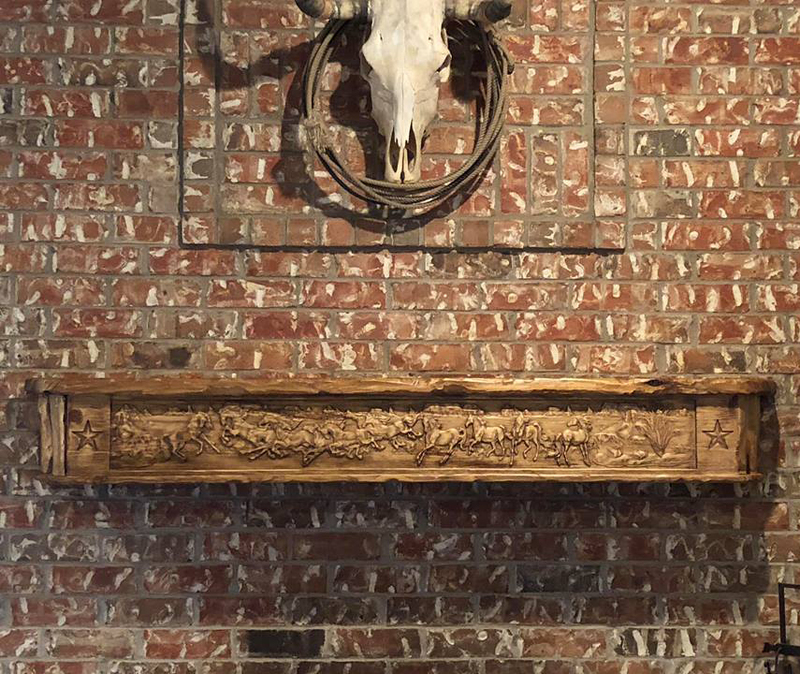 That first mantel led him to being asked by others for another mantel, then that led to another. 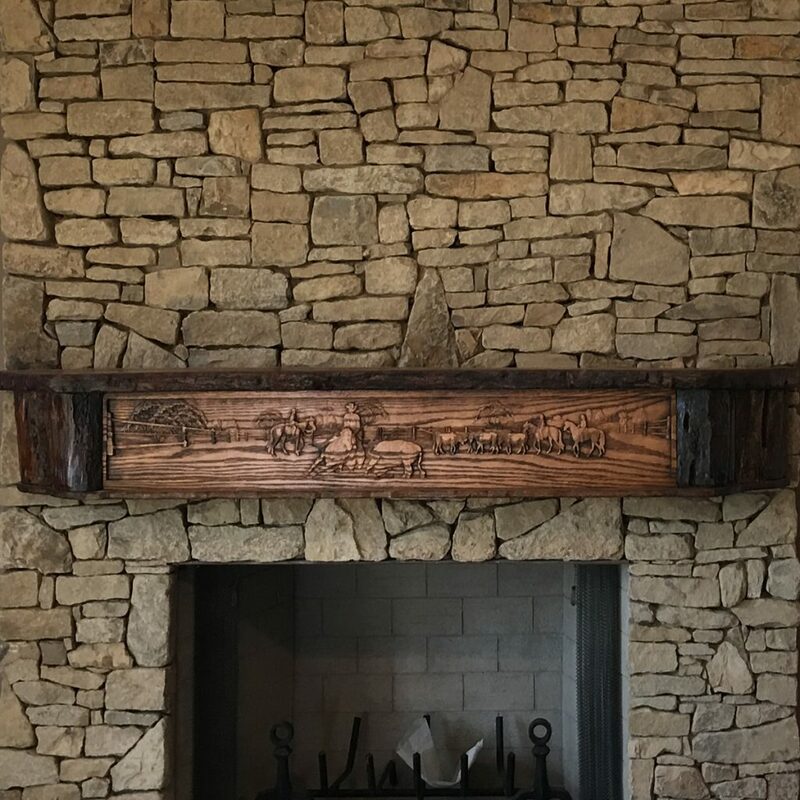 The mantels have proven to be very popular with their rustic themes and live edge look. They feature intricately crafted scenes of wildlife and cowboys at work. 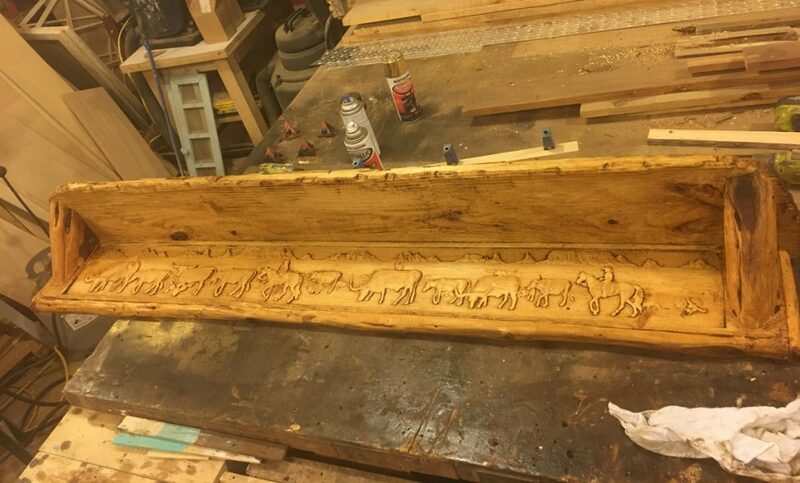 He’s created so many variations, giving all of his customers a unique piece to display in their home. 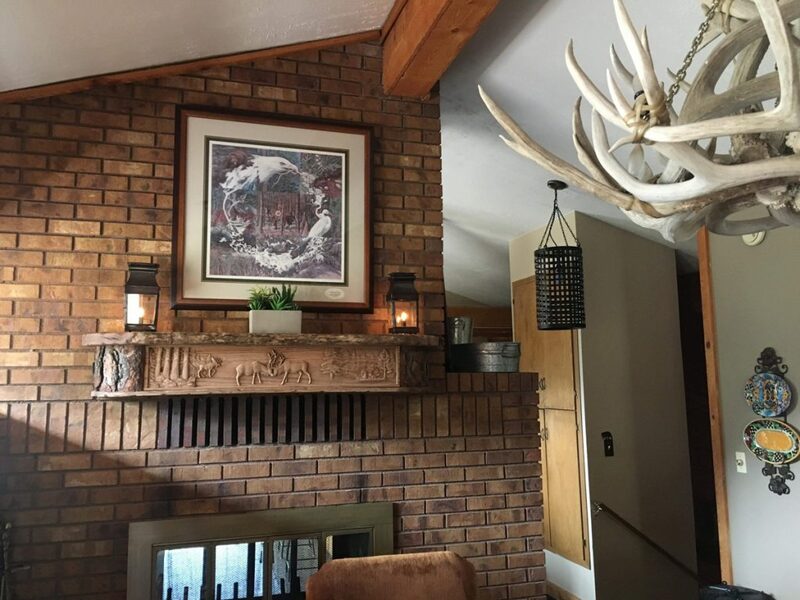 He even offers a hidden gun storage option where the mantel folds down to reveal a place to hang your rifle. 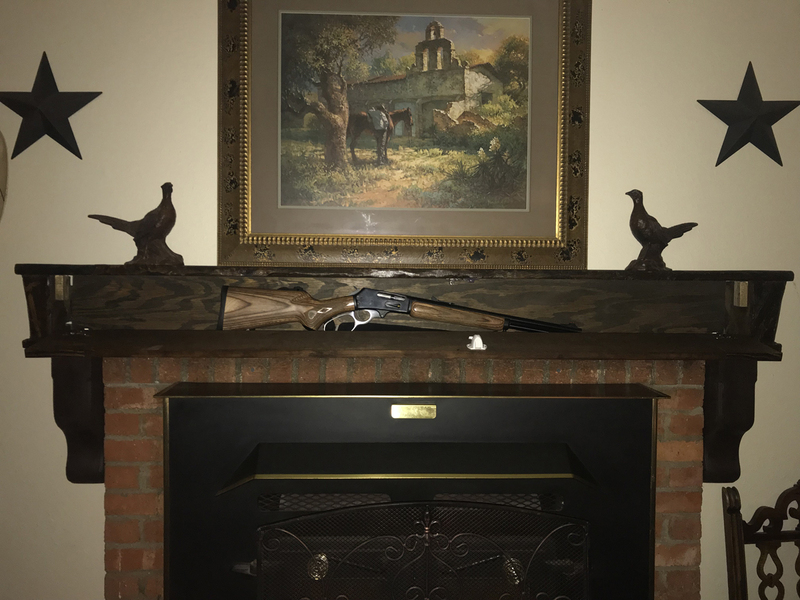 Brent’s mantels have hidden gun storage option. 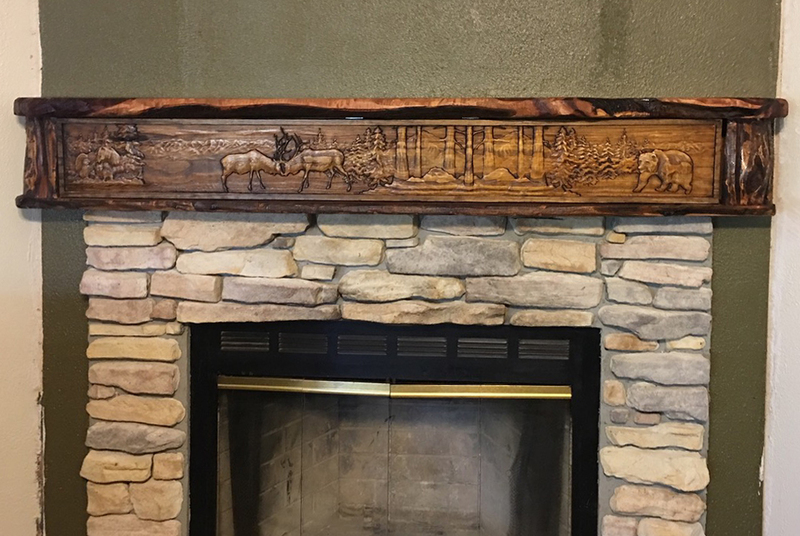 He now has four CarveWright machines creating several mantels a month for customers all over the country. 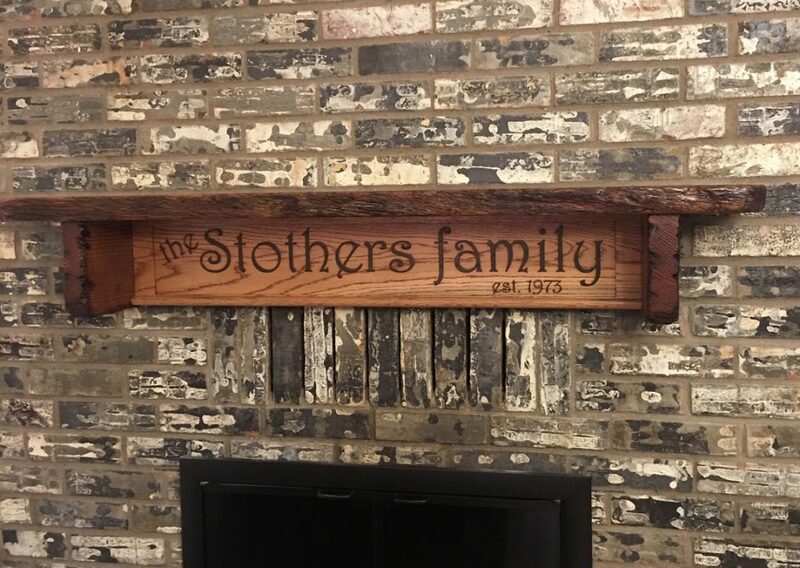 Check out more of his work, and maybe order your own mantel at Signs and Wonders in SpringtownTX. This entry was published on October 12, 2018 / Joe Lovchik. Posted in Customer Stories. Bookmark the permalink. Thank You Rick. I appreciate your comments and shares. I am always amazed and inspired by yalls work. Wonderful mantels !!!! Really appreciate seeing your work. BrentYou are certainly a creative person!! 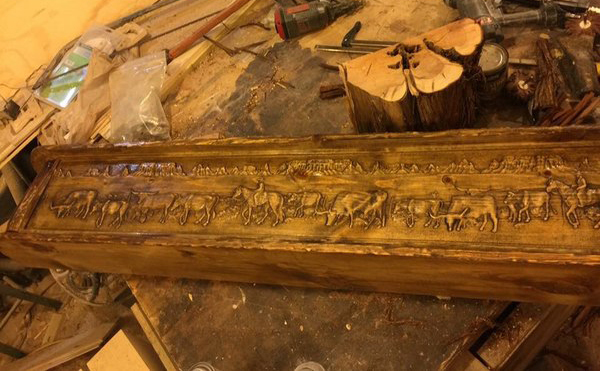 Your carvings are unique masterpieces!! I enjoyed reading this article! Brent, Love what you have done. Outstanding, love your themes wish I were in British Columbia Canada where this would do well.